Take a closer look at California with four diverse stories that capture unique perspectives of life in the Golden State. While ostensibly different themes, the California Fresh series is tied together by its exploration of compelling stories that are uniquely Californian and speak to deeper, universal themes beyond its borders. “All of these films were chosen intentionally because of the quality of the films and their unique perspectives on life in California," says Adult Education CoordinatorErin Dorn. The films range from a transgender teenager’s journey of identity and family acceptance, to a young poet’s struggle with urban violence and his own idealism, to a firsthand look at the effects of the “Three Strikes Law” and its far-reaching impact, and a behind-the-lens look at photographer Dorothea Lange’s powerful and iconic images. Each screening will be introduced by John Lightfoot of California Humanities. A Q&A with the filmmakers or subjects will follow some screenings. Click here to buy a Member Series Ticket for $18.00. You will get to see four films for the price of three. In Real Boy, 19-year-old Bennett Wallace navigates sobriety, adolescence, and the evolution of his gender identity, while his mother makes her own transformation from resistance to acceptance of her transgender son. Along the way, both are reminded that families are not only given, but chosen. A Q&A with Joe Stevens, a musician featured in the film, will follow the screening. Register here. Romeo is Bleeding follows Donté Clark, a young poet growing up in Richmond, California, a city haunted by a fatal turf war. Donté and the like-minded youth of the city mount an urban adaptation of Shakespeare’s Romeo and Juliet, with the hope of starting a dialogue about violence in the city. Will Richmond crush Donté’s idealism, or will Donté find a solution to end Richmond’s cycle of trauma? Register here. Through Proposition 36, California amended its “Three Strikes” law — one of the harshest criminal sentencing policies in the country. This marked the first time in U.S. history that citizens voted to shorten sentences of those currently incarcerated. Within days, the reintegration of thousands of “lifers” was underway. 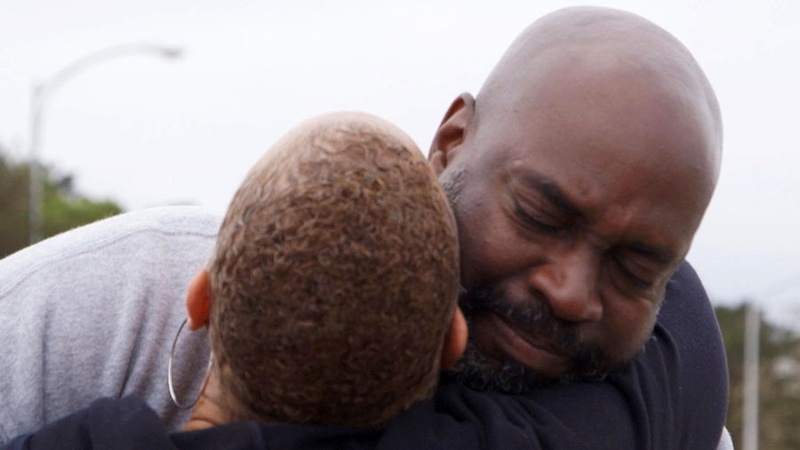 The Return examines this unprecedented reform through the eyes of those on the front lines — prisoners suddenly freed, families turned upside down, re-entry providers trying to navigate the transitions, and attorneys and judges wrestling with an untested law. Register here. Presented in honor of Sacramento Photography Month, Grab A Hunk of Lightning tells the story of the passion, vision, and drive that made Dorothea Lange one of the most important photographers of the 20th century. While Lange’s haunting image The Migrant Mother is one of the most recognized photographs in the world, few know the full range of her work or the suffering that drew her to the people she photographed. Grab A Hunk of Lightning is narrated and directed by Lange’s granddaughter, filmmaker Dyanna Taylor, and brings the wide lens of Dorothea's work into full view. Register here.